The E3 Business Awards are a celebration of the North West business community. We want them to be the best in the region; a platform that provides unbeatable exposure and value for all participants. The E3 Business Awards must set a leading example. They must be wholly inclusive, giving full recognition to judges, sponsors, partners, finalists and winners. They must be easily accessible to the North West business community and should be widely recognised. 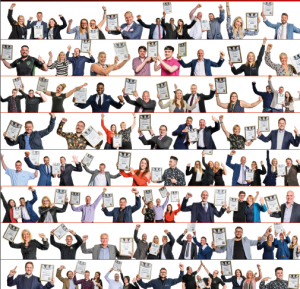 We intend that the E3 Business Awards will act as a powerful marketing platform for everyone involved, delivering social, digital and conventional marketing channels with exceptional reach. The Awards must maximise the exposure and profile that participants should expect to enjoy. We want to achieve all this while keeping integrity, transparency and honesty at the core of the Awards process. The Awards are based on a family culture; a belief that we are stronger when we support one another. The journey for all stakeholders must therefore be fair and inclusive, and all those who take part should be made to feel valued. 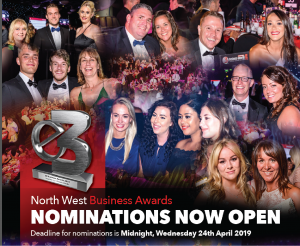 We are passionate about using the E3 Business Awards to bring the North West business community together in a celebration of business success. We aim to raise the profile of all participants, to build mutual trust, and to act always with integrity, care and respect. We believe in making people feel special. Our core values are integrity, care, trust, fairness and transparency. We respect family values and believe they can successfully be applied in a business context. We believe it’s important to celebrate business success and all the social benefits that follow from it. We believe in supporting the growth and value of the North West business community. We believe in creating and sharing opportunities for all. 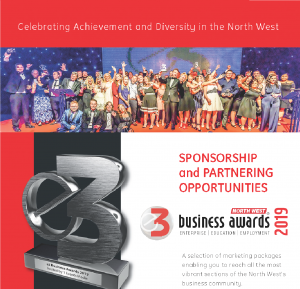 These inclusive, regional awards offer an excellent marketing platform for any organisation that wants to increase its profile across the North West. The host, 1 Events Media (1EM), is an organisation whose senior managers have over 20 years’ experience in events promotion and which has developed and designed marketing and sponsorship packages to ensure maximum exposure for your organisation pre, during and post event.